Congratulations to the sixth grade 2015-2016 basketball champions from Windham. The league was through the Portland Boys and Girls Club and the team played several town teams along with AAU teams. The winning score in the final game was 46-33. The team is: (L to R) Coach Bill Mannette, Jason Scott, Will Mannette, Jakob Emery, Tayshawn Lindsay, Fisher Allen, Alex Willings, Chase Wescott and coach Damion Lindsay. Front row: Logan Campbell. 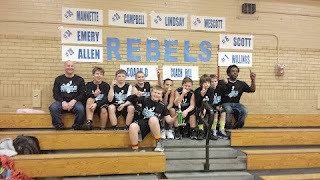 The team ended the season with a 23 wins and 7 losses. Windham High School senior Gage Chenard is the Aroma Joe’s athlete of the week. The 17-year-old is on the hockey team and the lacrosse team. He also enjoys skiing and fly fishing. “Without much fanfare, Gage has quietly put together a terrific senior season totaling 11 goals and 10 assists. Gage has put in a ton of time off the ice to better himself and the team,” said his coach Greg Leclair. Gage’s sports hero is Brad Merchand. He finds balancing sports and school a challenge. “It is always a challenge to balance academics and athletics. Staying on top of grades is just as important as the game itself,” he said. When it comes to teamwork, Gage has a winning philosophy. “The recipe for success is having a good overall team chemistry and knowing that you can always trust your teammates,” he said. His plan is to attend Bridgton Academy next year. Gage is the son of Randy Chenard and Jennifer Davies. The RSU14 grounds crew has won two Fields of Excellence awards for the past year. One was for the football field for the 2015 season and the other was for the softball fields for the 2015 season. “Thanks for all the support over the years and we will continue to try to stay at the top,” said grounds coordinator Mike DiDonato, CSFM. 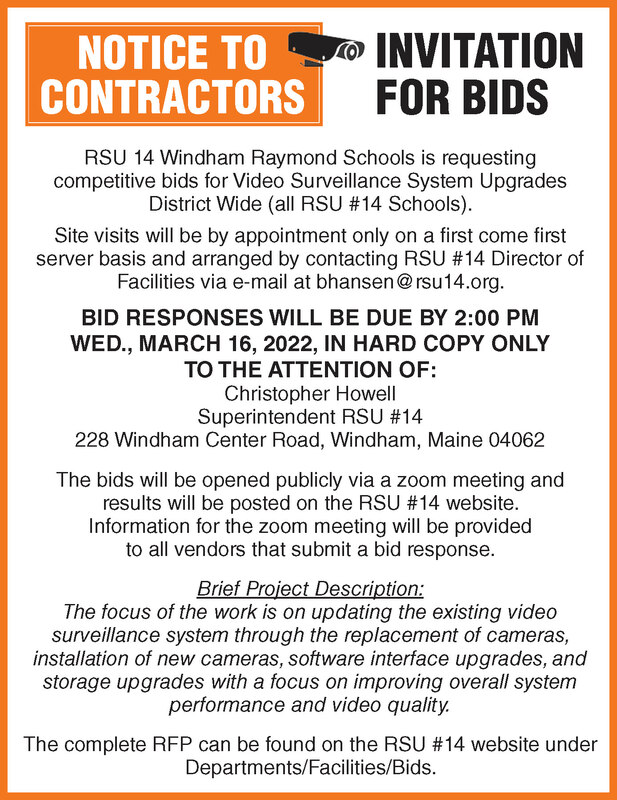 Windham High School was one of only four schools in the nation to be selected for more than one field. A total of 84 awards were given out from Pioneer Athletics, a company that sells products for sports fields. The schools that enter the competition send an essay on why their fields should be honored and send pictures of the fields. 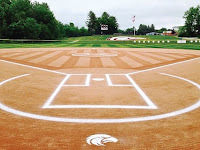 “We, in the softball program, are well aware of the state of our field and appreciate all the hard work Mike, and his crew, put into making it arguably the best facility in Maine (colleges included). The field of excellence award validates what we've known for years!” said softball coach Travis Demmons. 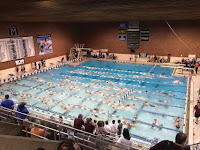 Last Saturday the Windham High School girls swim team competed in the Class A State Meet. “The girls had some awesome swims and several best times,” said coach Kyle Rasmussen. A couple of highlights from the meet included best time swims in the 200 IM (2:43.43) and 100 fly (1:11.68) by Maelah Nadeau. Her finish in the 200 IM was 24th and in the 100 fly was 18th place. Another highlight came from the last event in the meet, the 400 free relay. The relay team of Sophie Simonson, Elizabeth Lucas, Abbi Libby and Taylor Colangelo finished in 17th place with a time of 4:34.83. Other competitors included Monica Landry and Olivia Verrill. 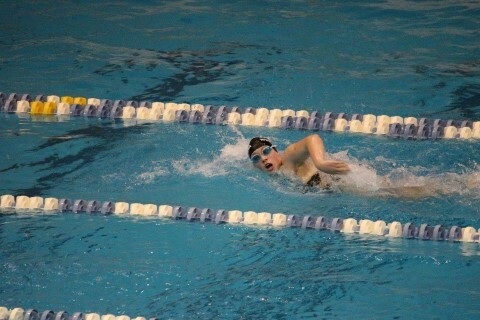 Monica Landry competed in the 200 medley relay (19th place) and 200 free relay (21st place). 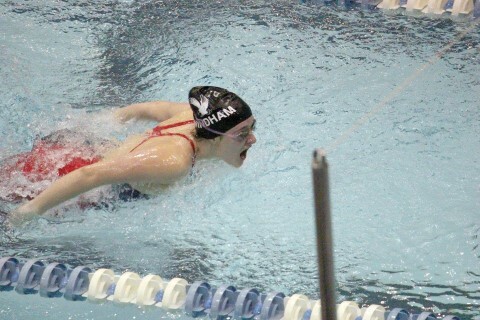 Olivia Verrill competed in the 200 medley relay (19th place), 100 fly (24th place), and 200 free relay (21st place). The team finished tied for 26th place in the meet. The Boys Class A State Meet took place Monday of vacation week. 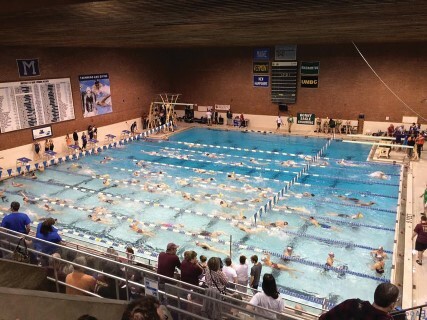 “This meet also was filled with personal best times and awesome swims,” said Rasmussen. Highlights included a 15th place finish in the 200 free relay with swimmers Jack Blake, Frank Farinella, Francis Watson and Ryan Plummer. The 400-free relay team of Josh Labrecque, James Mannette, Ryan Plummer, and John Giberti finished in eighth place. James Mannette also had an excellent swim in the 200 free where he swam a personal best time of 2:03.63 that resulted in a 12th place finish. John Giberti had a really good meet with a sixth place finish in the 200 IM (2:12.01) and an eighth place finish in the 100 free (52.31). Josh Lebrecque had a fourth place finish in the 100 free (50.94) and brought an individual state title to Windham with a first place finish in the 100 back (56.05). The team finished in 11th place. 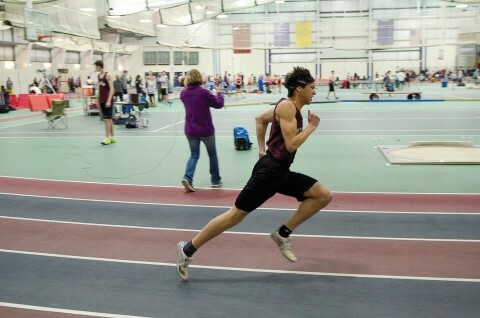 The Windham boys’ indoor track team finished 8th this past Monday, at the Class A State track meet. Ernie Ruby led the scoring by winning the 55m, in school record time. Ernie also placed 4th in the 200m. Rory Sullivan had a big day by scoring 7th in the long jump and 6th in the pole vault. Sophomore, Alex Wilkins didn’t jump as well as he wanted in the long jump, but came back with a personal record of over 41 feet in the triple jump, which was good for 3rd place. Senior, Thomas Sappier, finished 3rd in the shot put and he and Ernie will have an opportunity to improve their season best at the New England Track & Field Championships later this month. On the girls’ side, the Windham Eagles finished 16th as a team. Ali Wintle finished 3rd in the high jump and triple jump and has qualified for New Englands. Alex Wilkins is the Aroma Joe’s athlete of the week. The 15-year-old sophomore is a triple threat on the soccer, track and baseball teams, where he is a goalie, jumper and outfielder. “Alex qualified for states in the long jump and is one of the top performers in the junior division for the high jump, long jump and triple. He’s a hard worker, great kids and always looking to improve,” said his coach Paula Pock. Mixing sports and school work, Alex sums it up with, “It is honestly not that hard to balance the two. It is all about timing things, and if you do it efficiently, then they fit together,” he said. Alex also likes to play sports with his friends and going to the beach in the summer. His sports hero is Lionel Messi. “I want to be a great player like him in soccer,” said Alex. “I’ve learned that teamwork is all about knowing your team and using that knowledge to help the team grow,” he said. Alex lives with his mom Susan and his dad Rick. He also has three dogs. Fifteen-year-old Abigail Clinch is the Aroma Joe athlete of the week. 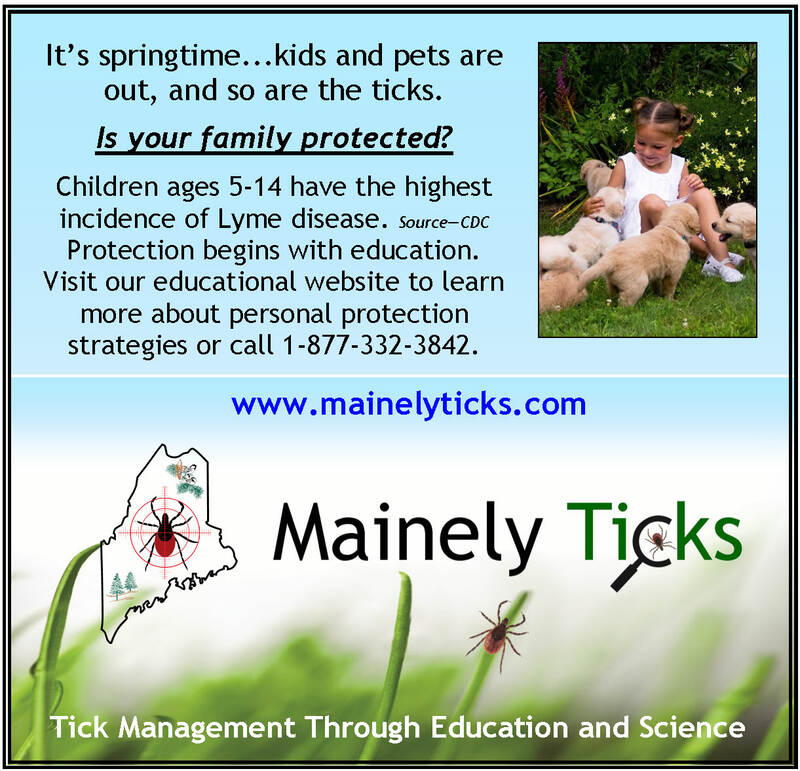 The ninth-grader is on the track and soccer teams at Windham High School. “Abigail has won two of her events at the last meet (long and triple jumps) and is now qualified for states. She holds the highest mark as a freshman in the league in both events. Very capable and a job to have on the team,” said her coach Scott Rush-Donohue. When it comes to teamwork, Abigail said “I’ve learned that if we don’t’ work together then we really aren’t a team at all. Teamwork really makes the dream work,” Abigail said. Her sports hero is Bethany Hamelton “because even though she went through a hard time, she defied the odds and continually surprises people with what she can do,” said Abigail. She has no trouble balancing sports and school. “When I have practice or game I know I need to get my work done fast, so I develop better time management skills,” she said. She enjoys hanging out with her friend and going to her camp in the summer. She would like to go to college, but not sure where. She’s considering marketing as a major. She is the daughter of Pam and Scott Clinch. She has a sister Kayleigh and a dog Katie. On February 5th the Windham Eagles varsity boys basketball team hosted the Gorham Rams in their last regular season game. The boys knew that if they could win this game a spot in the playoffs was a possibility. This was also senior night as the team honored both Kyle Kilfoil and Zach Lacombe in their last high school varsity boys basketball game. Both the Eagles and the Rams played strong throughout the game; however, the Rams were able to pull ahead and keep on top of the score board. Eagles senior Kyle Kilfoil walked away with 21 points in his last game as an Eagle and sophomore Nick Curtis added 15 points. Lacombe, Coffin, Gilman and Henderson also contributed in the last game of the season. As the first season with a new head coach Coach Pulkkinen had this to say about the season. “I will never forget this year, being my first year as a head coach and my return to Windham Basketball. When I took the position, I heard a lot about it being a rebuilding year, a year to pay my dues etc. I never believed that and our team never bought into that label. I think a lot of teams throughout the course of the season started to respect what our team was capable of and it’s a testament to the guys we have. Although our season was cut short there was a lot to be proud of. Coaching our two seniors Kyle Kilfoil and Zach LaCombe was a pleasure. They were two guys who gave their all every day and lead by example. They lead our team night after night with their effort and relentlessness to do whatever it takes for the team to be successful. They will be greatly missed. By Paula Pock - Windham boys’ finished fifth in the SMAA championships this past Saturday. Windham was led by senior Ernie Ruby who had a huge day by winning the 55m, followed by third place in the 200, and a fifth in long jump. Sophomore Alex Wilkins also had a great day, finishing second in the junior triple jump, with a new personal record. Alex also got third place and fifth place in the high and long jumps. Other scorers for Windham include senior Thomas Sappier – second place shot put with a 3-foot personal record, Evan Coughlin- fourth in shot put, Rory Sullivan received third in the pole vault, Jeremy Bennett finished fourth in the 600yd and Wyatt Yost was sixth in the junior 800m. The junior 4x100 team of Sam Cole, Rick Brichetto, Josh Mora and Connor Abbatoni placed sixth. heading into the state meet, which will be held at USM on February 15. The Aroma Joe’s athlete of the week is Windham High School senior Greg Meader. 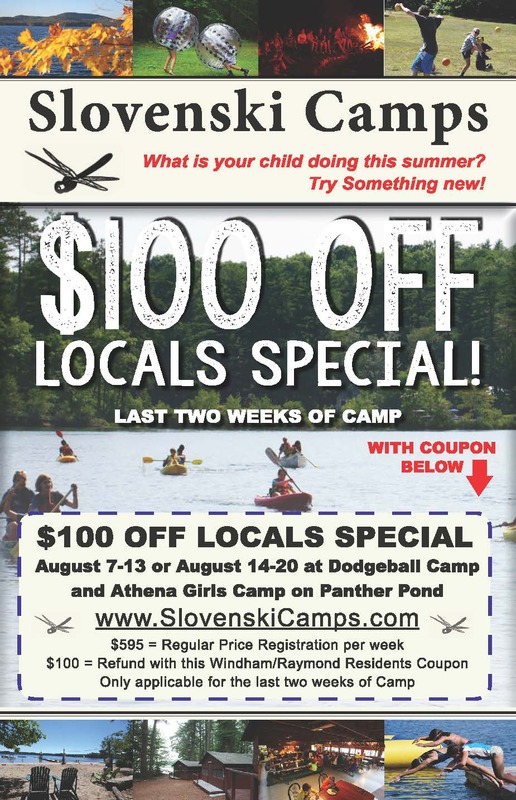 The 18-year-old is a cross country runner, Alpine skier and tennis player for Windham. In addition to those sports, he also enjoys biking, hiking, singing and spending time with friends and family. “Greg has stepped up in a big way this year. He is taking responsibility as a senior to be a role model for his teammates. He has improved his skill and has progressed from the bottom of the line up to a top skier on the team and conference,” said coach Gavin Glider. Greg is the son of Tom and Carol Meader, has a brother Brad, sister Dani and a cat. He wants to major in civil engineering at the University of Maine or Clarkson University in the fall. Windham/Westbrook hockey hosted the Lawrence/Skowhegan Bandits at USM on Saturday for last home game of the season, which was senior night. The WW hockey team has a total of 14 JV and varsity players that were honored by the crowd and families. The first period was an even exchange of back and forth action and nearly equal shots on goal. The second period started out much the same way until half way into the period when Sam Craig from the Bandits lit the lamp with a shot over the right shoulder of Alex LeBlanc to get on the score board. The teams went into the locker room at the end of the second period with the Bandits up 1-0. WW poured on the shots in the third with the Bandits goaltender Hunter Raye standing on his head fending off 16 third period shots. The Bandits held tough the last 2 minutes a man down and the WW goalie pulled. There was a 6-on-4 situation for about 45 seconds when they went down another. The last 19 seconds was a 6-on-3 and the Bandits held it together for a hard fought win. WW goes to 10-3 on the season and Lawrence/Skowhegan earned their fourth win of the year to go to 4-8.